Genre-defying producer Isabelle Rezazadeh, AKA Rezz, has been heralded as the future of EDM. The 23 year old phenomenon experiments with deliciously dark techno, drawing comparisons to Trent Reznor and Gesaffelstein from applauding critics. Don't miss this rising star as she hits the road! 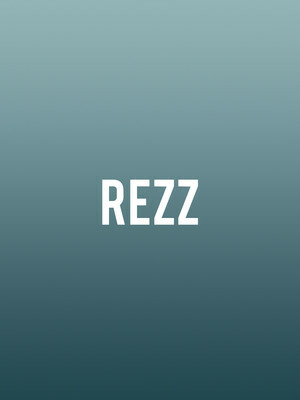 For someone so young, Rezz and her mature, underground techno stylings have already caught the ears of the likes of Deadmau5 and Skrillex, building up a steady and faithful following with free releases on Soundcloud. Her debut album, Mass Manipulation was released in 2017 under Deadmau5's record label and featured tracks 'Relax' and 'Premonition'. 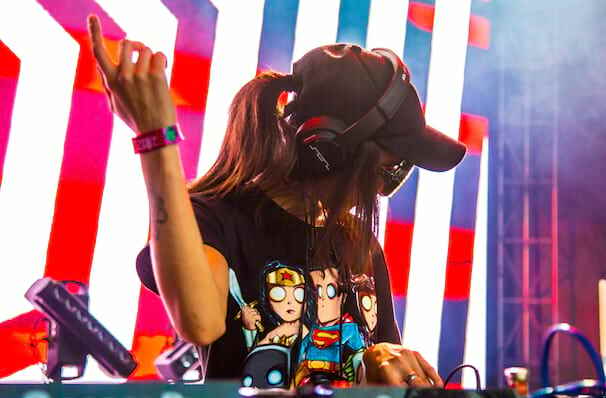 Following her debut album, 2018 saw the release of Rezz's second album, Certain King of Magic; which aptly follows a magic styled them. Sound good to you? Share this page on social media and let your friends know about REZZ at Shrine Expo Center. Please note: The term Shrine Expo Center and/or REZZ as well as all associated graphics, logos, and/or other trademarks, tradenames or copyrights are the property of the Shrine Expo Center and/or REZZ and are used herein for factual descriptive purposes only. We are in no way associated with or authorized by the Shrine Expo Center and/or REZZ and neither that entity nor any of its affiliates have licensed or endorsed us to sell tickets, goods and or services in conjunction with their events.